The RAM 2500 has been a strong vehicle for decades with horsepower and torque levels increasing three fold since its inception. 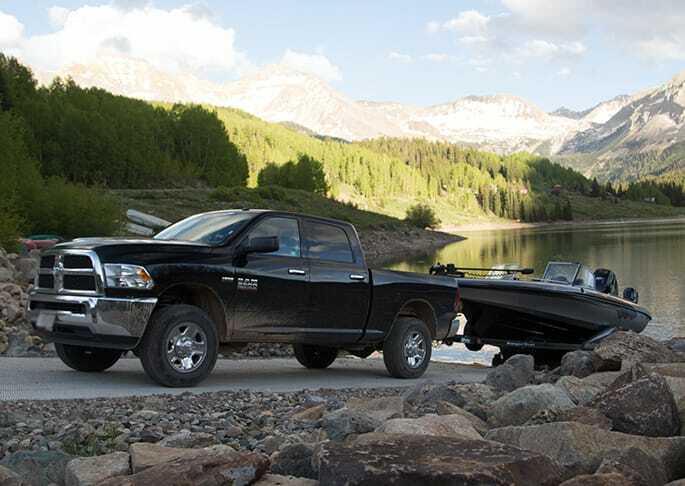 The RAM has an extremely high ceiling on towing and hauling as well as overall performance. Improvement in axle and frame design have allowed for large jumps in power and ability further than most though possible. The riding cabin is large and comfortable with a smooth riding experience for everyone. The 2500 is working at the top of its class and also has enough character to be an everyday vehicle. The RAM 2500 is very much looking at natural gas compression as a thing that is here to stay and it is being moved into regular cab models. For fleet customers the benefits of this energy source are high when it pertains to emissions and costs. It will be offered in HEMI V-8 models. The Cummins Turbo Diesel is highly regarded as a top of the line performer and comes on the 2500 in two setups. The first is a manual six speed offering capable of 350 horsepower and a max torque rate of 660 lb.-ft. The second option is a six speed automatic transmission with 370 horsepower and 800 lb.-ft. of torque. Yes, there is very much still gasoline engine options: The 6.4-liter HEMI is a V-8 which gives you 410 horsepower and a top torque of 429 lb.-ft. The HEMI V-8 5.7-liter unleashing 383 horsepower and torque capabilities of 400 lb.-ft. On all V-8 vehicles there is a six speed automatic transmission. 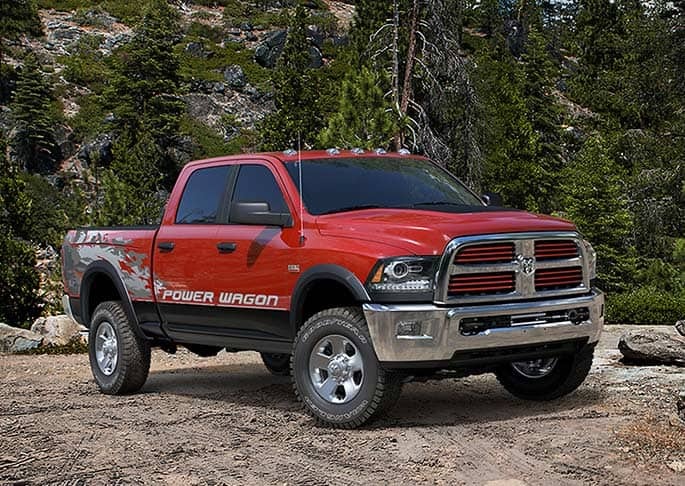 When it comes to gasoline powered pickups best-in-class has been awarded to RAM. All trim levels continue to receive an awesome cabin done right with easy to use controls and a reliable HVAC. On upper levels you can expand the UConnect screen in size and features that come in handy. The RAM 2500 continues with three cab choices including a regular cab, Mega Cab and Crew Cab. The legroom and freedom on the interior is more plentiful on the Crew and Mega cabs and all have the ability to have the rear bench be folded up for a flat cargo area. The RAM 2500 has a segment exclusive cargo bed camera which now can be viewed from the centered UConnect screen and not the rearview mirror anymore. This camera helps quite a bit in trailer connections and monitoring cargo is a snap. The exterior of the 2500 has slots for frame mounted tow hooks, optional skid plates for the underneath and on the back end is a Class V receiver hitch with multiple pin wiring connectors. The truck also can have a fifth wheel and a hitch package making it ready to tow without any aftermarket work needed. The RAM 2500 is known for superior riding and smooth handling which is helped along by rear suspension options including either a five link coil system or an air suspension. Another great thing about the air suspension is that it is capable of sensing the load you may have attached and the air bag opens up and expands until ride height is achieved and the truck has better ability to tow and not drag the payload. Can you help me finance my 2016 RAM 2500? The 2016 RAM 2500 has power adjusted pedals that are available and a rearview camera can also be had. A great deal of time has gone into safety and making things just right when it comes to the 2500. Anti-lock brakes along with front and side airbags come standard as well as buttoned down traction and stability control. 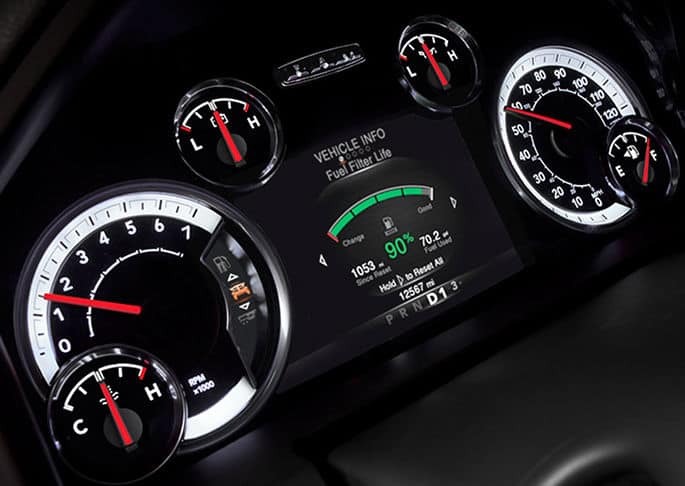 The 2500 also features tire pressure monitoring to help drivers keep a watchful eye on a very important part of the truck. The RAM 2500 has undergone a heavy duty refresh the past few years and it is positioned better than ever as a well-rounded vehicle. It is quite a truck that is sure to be turning heads.